Pvt. L.C. 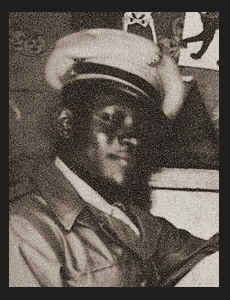 Johnson, son of Mrs. Bertha Johnson, attended Boyd High School; husband of the former Armatha Hooper. Entered Army in 1944, trained in Ft. Smith, Ark. ; is now on duty in Camp Beale, Cal. Awarded Good Conduct Medal.